Kids Corner @ Kindle Nation Daily Student Reviewer: Merritt D.
Moving from New York to the New Jersey suburbs is a pretty big deal for sixth-grader Margaret Simon. Once she’s in the suburbs, she’s pulled into a groups of girls who are curious about everything normal tweens are: boys, bras, friendship, gossip, and so much more. On top of everything else, she is trying to figure out what religion she wants to be, if any of them. Her parents aren’t much help: just adding to Margaret’s confusion, her mother is a Christian and her father is Jewish. This whole book is surrounding her life and her very one-sided prayers with God. 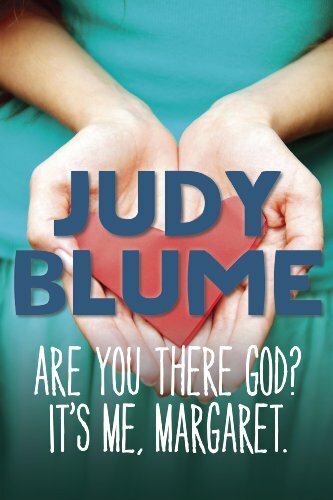 She is very frank as she tries to talk to God about which religion is right for her, and what she’s going through. This story is a great example of a little girl trying to figure out her life and what she’s looking for in a religion. 5 out of 5 – This book is a great read and very relatable. Margaret and her frank personality will keep you laughing throughout the whole story. It has a great storyline full of things that every teen/tween goes through. I highly suggest it to all age groups of girls! 3 out of 5 – This book is very helpful in showing girls they are not alone, and that other girls are going through [the same things] and feeling just like them. This book is informative and a great relief to some, but does not contain any educational knowledge on an academic level.